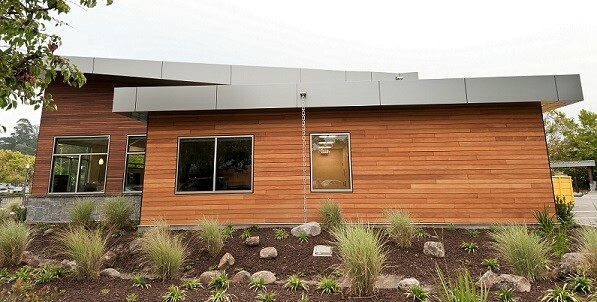 A wide variety of wood siding species are available for use with the Climate-Shield® Rain Screen System. 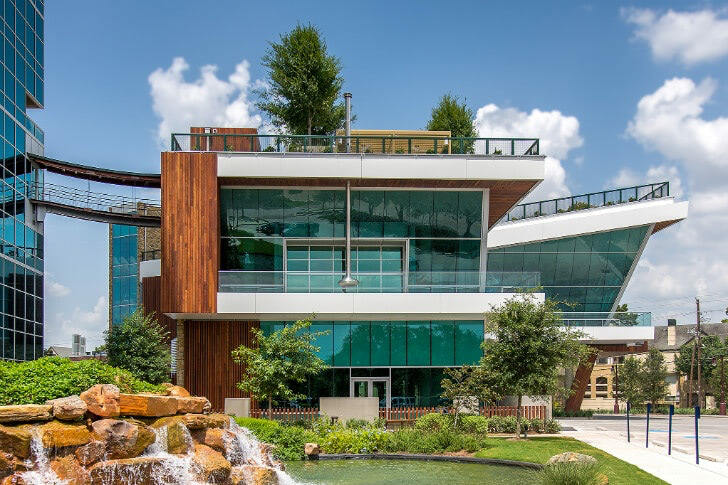 Some of the most popular and best performing wood cladding options include Mataverde® high density hardwood species including Mataverde Ipe, Cumaru Siding, Garapa siding and FSC® Certified Machiche siding. 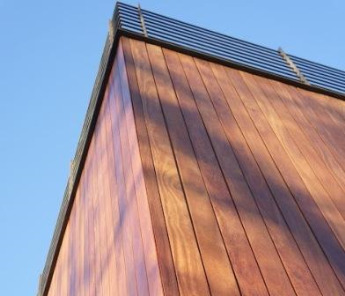 These beautiful and long lasting wood rainscreen cladding species are a perfect facade for the Climate-Shield™ Rain Screen System. Mataverde Ipe Rain Screen Hardwood Siding is the most rugged and durable species available for rain screen wood siding installations. Pronounced E'-pay, Mataverde Ipe rain screen hardwood siding has the same strength and high density characteristics as Ipe decking and Ipe lumber. Ipe rain screen wood siding has a rich natural beauty that can be enhanced with a natural oil finish or Ipe siding can be allowed to "weather out" to a natural silvery patina. 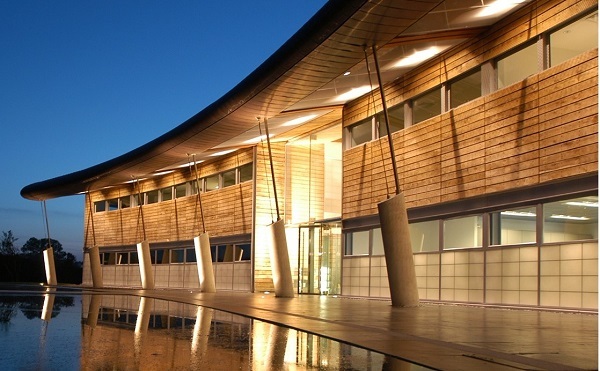 Ipe makes an impressive and long lasting rainscreen cladding material. The beautiful brown tones of Ipe siding add a warm visual appeal and the durability of Ipe rainscreen cladding material make it a natural for rainscreen system installations. Mataverde Ipe hardwood decking and siding has been thoroughly tested and has received a Class A fire rating. Mataverde Ipe meets all the standard performance requirements for the ASTM E-84 testing for Class A building materials. Mataverde Machiche FSC® Hardwood Cladding is another rugged and durable species available for wood rain screen siding installations. Pronounced mah-CHEE'-chay, Mataverde Machiche hardwood siding has the same strength and high density characteristics as Machiche decking and Machiche lumber. 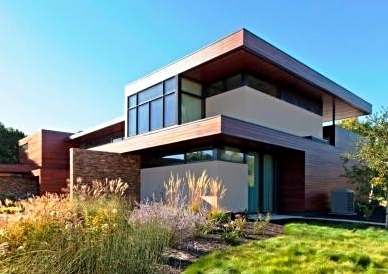 Machiche hardwood siding has rich natural chocolaty colors that can be enhanced with a natural oil finish or Machiche wood siding can be allowed to "naturally weather out" to a silvery gray patina. 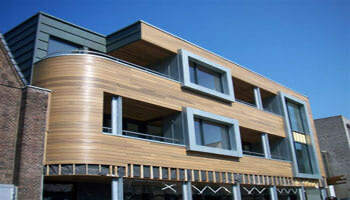 FSC Machiche wood siding is an excellent sustainable rainscreen cladding material option. Mataverde Machiche hardwood decking and siding has surpassed the ASTM test requirements for a Class A fire rating. Mataverde Garapa Rain Screen Hardwood Siding is another rugged and durable wood siding species available for rain screen wood siding installations. Pronounced gah-RAH'-pah, Mataverde Garapa hardwood siding has the same strength and high density characteristics as Garapa decking and Garapa lumber. Garapa's rich natural golden tones can be enhanced with a natural oil finish or allowed to "weather out" and mature to a natural silvery patina. The exceptional stability of Garapa wood siding makes this lovely species an excellent choice for rain screen cladding material. Mataverde Cumaru Hardwood Siding is another rugged and durable species available for wood rain screen siding installations. Pronounced KOO'-mah-roo, Mataverde Cumaru cladding has the same strength and high density characteristics as Cumaru decking and Cumaru lumber. Cumaru wood siding has rich reddish brown and yellowish brown colors whose exotic graining can be enhanced with a natural oil finish. Like Ipe hardwood siding, Cumaru wood siding can also be allowed to "weather out" and age gracefully to a natural silvery patina. Mataverde Cumaru decking and siding has recently been tested and has surpassed the NFPA (National Fire Protection Association) requirements as a Class A fire rated building material. Mataverde 100% Pure FSC Santa Maria Hardwood Rain Screen Cladding is a beautiful and durable hardwood species available for wood rain screen siding installations. Mataverde Santa Maria hardwood siding has the same strength and medium-high density characteristics as Santa Maria decking. Santa Maria rain screen wood siding has the lustrous appearance of genuine mahogany and can be stained different colors to complement your color scheme. Like other high density and medium high density hardwoods, Santa Maria can be allowed to weather naturally to a silver-gray patina or it can be re-finished as needed to maintain its rich coloration and graining. Santa Maria siding can also be stained in a wide range of colors. 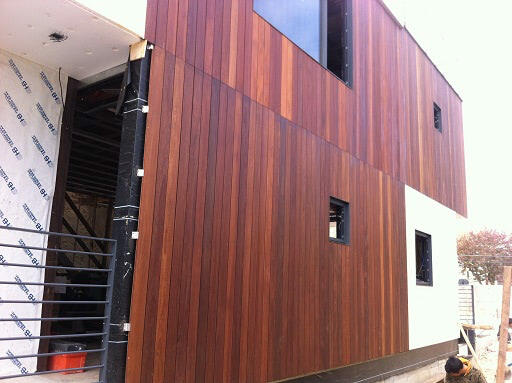 FSC Santa Maria hardwood siding is an excellent sustainable rainscreen cladding material option. 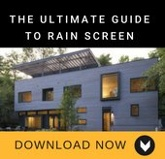 FSC Certified Mataverde Louro Preto Rain Screen Hardwood Siding is an affordable hardwood cladding option for wood rain screen designs. Pronounced LAW'-rho PRAY'-toe, Mataverde Louro Preto ranges in color from light tans to medium reddish brown and darker brown tones. Louro Preto is fine grained and exhibits some tropical grain and color variations. Louro Preto siding will accept an oil finish and may also be finished with most exterior stain products to enhance the color. If your rain screen project requires an FSC certified hardwood with the ability to be stained any number of colors on a limited budget, Louro Preto siding is a very worthy consideration. FSC Certified Mataverde Massaranduba Rain Screen Hardwood Siding is a handsome and affordable hardwood cladding option for rain screen wood siding installations. 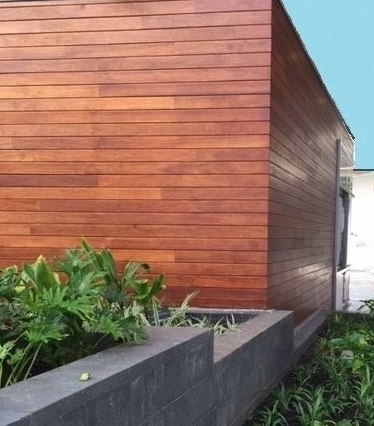 Pronounced MASS'-ah-ran-DOO'-bah, Mataverde Massaranduba hardwood rain screen siding has rich colors ranging from light reddish browns to medium and darker reddish brown. Tropical graining and color variations make it a particularly striking cladding material. Because of its deep colors, Massaranduba is sometimes referred to as "Brazilian Redwood". Massaranduba however is significantly harder than redwood - about 4 times harder - and its coloring can be enriched with exterior oil finishes such as Penofin. Massaranduba Rain Screen is an excellent natural cladding choice for projects requiring a moderately priced, FSC certified wood siding material. 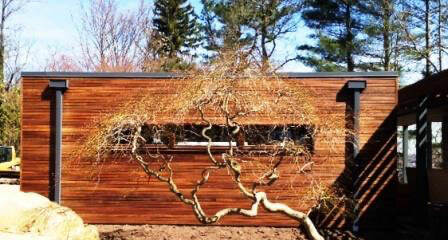 Learn more about this beautiful wood siding species below. Developed in Norway, Kebony® technology is an environmentally friendly, patented process that improves the natural properties of sustainable softwood with a bio-based liquid. The process permanently modifies the wood cell walls, giving Kebony premium hardwood-like characteristics and performance and a rich brown color. After exposure to sun and rain, the wood develops a natural silver-gray patina. Performance is maintained, while beauty is enhanced. If the wood siding species you are considering is not listed on the chart, please, Contact our Specialists.